Here is hoping that you all enjoyed a wonderful weekend. Ours was nice! Very quiet - DH made his 'rounds' of jobsites, we went to the cemetery and put out our flags and flowers, and then he and I threw a pork steak on the grill. I just enticed her to the back door! I have a card today for a challenge at the Stampendous blog. This is Challenge #38, and is a sketch challenge, hosted by Geny Cassady. I used the 'Narcissus' set from Stampendous. Narcissus' were one of my dear mom's favorite flowers - oh how she loved Narcissus and Clematis! If she were still with us, this card would be on it's way across town to her! All coloring is done with Copics, Ink is Memento Tuxedo Black, CS is Bazzill, and the white CS is PaperTrey Ink. Butterflies are punched with Martha Stewart Punch, and the butterfly DP is a Gina K. Designs Free Digi Paper. I think I will enter this at the 1st challenge at The Craft Room as well! The theme is anything goes, and this is anything! Have a great week! 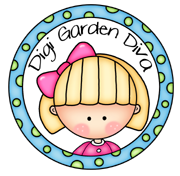 I'll be back for the Doodle Pantry Blog Hop on June 3rd! Food for thought: Worry is like golf stokes - those that have the least are the winners! I hope that you're all enjoying a relaxing weekend! It's been very quiet here so far! of their three games in Denver - what fun! and make a trip to the graveyards with flags and flowers. Rosie the Wonder-doggie is still keeping us company. It's going to seem very quiet when DD takes her home! I decided to take part in a challenge today - don't faint! I haven't been doing much of that lately, but I am going to try to step it up a bit! I love C.C. Designs Images - I've never seen one that didn't just catch at my heart. They make me think of my DD at a young age, and how can you not love that? My card is for the Wednesday challenge at All That Scraps, which is to use felt. Can you believe I had NO felt? Sheesh, what crafter has no felt? I had to run into our local craft store to find a few sheets! I tried to keep this card very simple, and let the image 'shine'! All coloring is done with Copics. I used Glossy Accents on the butterfly and flower, and a white Sharpie Paint Pen to highlight. The felt was purchased at The Red Rooster Crafts store here in Farmington. Hope she brought a smile to your face! You have until Tuesday to take part in the challenge! Thanks for dropping by - hope to get by to see you today, as well! Cherish each precious day! Each one is a gift - don't exchange yours unopened!!! Hi everyone - hope you are enjoying a nice relaxing weekend! I'm going to enable you just a bit, hope you don't mind! from 8 a.m. eastern May 28th through 10 p.m. eastern May 30! ENTER COUPON CODE: REMEMBER in the Coupon Field at the bottom of the cart and click submit. 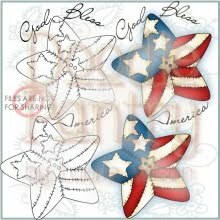 Get this beautiful Patchwork Star set FREE with ANY PURCHASE THIS WEEKEND! Just add it to your cart, checkout, and pay for the other items, and the download is included in your product order. Have you made a purchase this weekend and added the Patchwork Star to it for free? If either of these cases is true, just create something this weekend (May 28, 29, 30) and reply to the CDAC GROUP discussion HERE with your direct link, and you are entered for a chance to win a $10 coupon! Winner(s) will be announced Tuesday, May 31 at the CDAC Group! Have a wonderful weekend! Happy Shopping!!! I had a little frame from The Dollar Tree, and decided to use up some scraps. I simply tore lots of uneven scraps and Mod-Podged them on. I printed this sentiment, a new release from The Doodle Pantry to roughly 3" x 4.5", sponged around the sentiment with Tim Holtz Stormy Sky Distress Ink, and punched a couple of birds with my Stampin'Up! Bird Punch. Voila! Taking the photos at night never work out so well, but tomorrow's 'one of those days', and I know nothing will get done in my craft cave, so had to take it tonight! It looks a bit curvy, but it's straight as can be in real life! I think I am going to enter this at Our Creative Corner - the challenge there is to "Frame It"!!! Keep praying for those folks in Joplin, Missouri - their death count is well over 100 now, and still many missing. My heart just breaks for them all. Have a great week, and I'll be by to see you as soon as I can! Food for thought: Much like one drop of food coloring tints an entire bottle of water, a tiny bit of kindness colors a whole friendship. Before I get to today's blog candy winner, I want to ask for thoughts and prayers for the folks in Joplin, Missouri. A tornado ripped through that town yesterday evening, and leveled a large portion of it. The hospital is a total mess, many are homeless, there are so many injuries, and as of this morning, a confirmed 89 dead, with many still missing. Please be thinking of them! Olga, this will go in the mail to you soon!!! Please e-mail me with your address! That's all for this morning - have a great day! See you back here in a bit! Last Chance for Blog Candy!!! Hi there, most awesomest of peeps! Just a reminder - this is the last day to sign up to win the dress form stamp that I'm giving away! 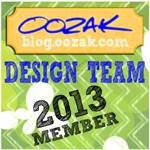 Sign up on THIS blog post by 10:00 p.m. central time tonight, and watch for a winner tomorrow! You do NOT have to be a follower, but followers will be entered twice! Have a wonderful evening, and I'll see you back here tomorrow morning! has anyone seen my week? Hopefully, your week has been wonderful, and your weekend will be even better. I have a surprise for you today! Laurie has surprised and delighted us with a wonderful new digi set released today at Doodle Pantry. This set is called Quirky Dog - isn't he fun? You can get just the outline version, or a full set that includes both the outline and pre-colored versions AND coordinating digi papers! You can find them today at the Doodle Pantry Store. Can't you just imagine this cute little guy going to a friend or co-worker? After you get finished shopping at Doodle Pantry, head on over to the Doodle Pantry Blog, and see some wonderful inspiration by members of the Creative Team! There is also a new "Stock the Pantry" Challenge starting there today! We'd love to see your beautiful creations posted! Have a great weekend - Thanks for dropping by, and for the well wishes for DD's foot. I saw her today, and she seems to at least be able to eat a little, and walk, so that's a good thing. By the way, we are happy grandparents - we get to have our little Rosie, the wonder dog, for the next 8 or 9 days! Be watching for Rosie pics! Hope you are all having a wonderful week. Ours is going by so quickly. I can recall my mother telling me that the older I got, the faster time would go by. Mom - you were right!!! So...as we are traveling, trying to get home before dark tonight, I don't have any cards to post. I do, however have an Icky photo. I don't know if you recall my post in October, telling about the hay wagon running over our DD's foot. Well, she's been to several PT sessions, several doctor appointments, and the pain still is quite intolerable at times. (like at or about mid-way through her half-marathons :) So, this week, she was set up with an Orthopedic Specialist that deals with sports injuries. She saw him yesterday. They did extensive ex-rays, a lot of rubbing, feeling, probing, etc., and he's thinking there are no broken bones or dislocations, but that what she has is some sort of nerve damage. It was decided to try a cortisone injection to see if she could get relief. He can give her up to three injections, and if they don't help, she will need surgery. Poor thing.....she has the teensiest, most fragile and pretty feet - normally! This is what she looks like today after the injection. I talked to her last night at 10 and she was in incredible pain, feeling pretty shaky, hot flash feelings in her face, etc. This morning, she felt a bit better - the pain was not as bad as last night, but here is the photo she sent this morning. Anyway, that's all I have for you today! Tomorrow is another day, and one that I hope to find a crafting window in. I have 200 wedding favors that I must get started on, as the wedding is June 11th! Hope your day's going perfectly! Thanks for stopping by, and don't forget to send all of your friends over for a chance to win my blog candy! It's promising to be another very full week, so I thought I'd post a Pure Innocence cutie! I was over at my friend Shirley's a few weeks ago (when I still had time for a play day! ), and she had just gotten a huge box of 'happy mail'.....this little darling was one of the many sets she had ordered, and I couldn't resist stamping her up to take 'on the road' to color! Supplies: Basic Grey Hopscotch Paper Pack, Copic Markers, Tim Holtz Tye Dye Distress Ink, Flower by Recollections, Cardstock is from local craft store, Butterfly Punch is Martha Stewart. You can find these darling stamps at Simon Says Stamp. You can probably find them many other places as well, but this is where I knew Shirley had ordered them from. OKAY~On to some blog candy! I am beginning to start some spring (summer?) cleaning in my craft room! if you go someplace to shop, what is it that you can't resist bringing home? Stamps? Paper? Markers? Colored Pencils? Embellies??? Hop up to my "For Sale" tab...there is a dress form stamp there that has never been inky. If your name is drawn, you win - it's that simple! No, you do not have to become a follower to win, but I'd love it if you were! You will get one entry for your comment, and TWO additional entries if you are a follower! I will draw a winner on Sunday, May 22nd. Watch for a winner on May 23rd! That's all I have for tonight! 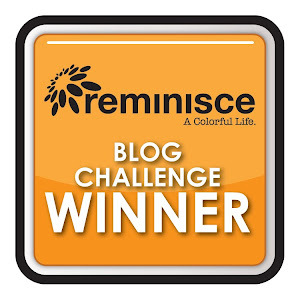 Thanks so much for stopping by - see you on your blogs soon! Food for thought: Never stop finding joy in the small things! A while back, many of you sent cards for my dear friend, Penny, who had badly broken her leg. I've never seen so many beautiful cards at one time! Thank you, each and every one, who sent cards and post cards with so many wonderful well wishes. I received this update from Penny, and thought I would share with you! I deliberately waited until after yesterday's doctor's visit so I could report an update, First, I want to tell you how much I enjoyed the visit and lunch. Please promise you'll come again, and this time I'll treat. Next, I have to tell you that later in the evening, I sat and read the additional cards you brought in the cute basket. What can I say. I would be hard-pressed to pick a winner. It was a continuation of the cards delivered while I was in rehab--cute, creative, beautiful, clever, on and on. Of course, I also enjoyed the words of encouragement and am ever thankful for the offers of prayer. Please, please thank your bloggers for me, and thank you, Pat, it was a very dear thing for you to do. I am so blessed. Xrays look good. The bone is doing what it is supposed to do. I have 6 additional weeks of no weight bearing. Then 4 to 6 weeks of gradual weight bearing and therapy. I can begin on my own 3 or 4 times a day trying gently to get the knee to bend. Doc said if the knee hurts bad enough to required pain pills, I'm doing too much. By my calculations, I should be bearing full weight by the start of school in August. We will see. Please keep praying for healing. Say hi to Stan for me! I will keep all of you updated as we get information. Again, thank you for helping brighten this wonderful lady's days. She is such a blessing to so many of us - it was fun to be able to bless her right back!!! Food for thought: Hating someone is like burning your own house down to get rid of a mouse. Good morning, and Happy Weekend! It is cold and....yup, rainy here in Missouri. Hope that wherever you are, the sun is shining, and blessing you with warmth! Thanks for being so patient with me during this crazy, hectic month of May. Most of you know that my DH is transitioning from a job that is mostly 4.5 hours from home to a job 30 minutes from home. While that is a blessing, we have had to make weekly trips out of town this month to load trailers with things to bring back, empty job trailers, etc. I'm certainly not complaining, and happy to be of help, but it's left me very little time to craft. So thank you for being patient! June 1st will be the first time in many, many years, that DH will be home every single night. It's been years since we've been able to sit on the porch with a glass of tea and we are looking forward to some time together. I have a very simple card for you today, featuring another of Laurie's pre-colored images from Doodle Pantry. These images have been a life saver for me this month! They are so beautifully colored, and easy to create with. This is from the Noah's Ark set, that you can find here. The background paper is from the Baby Basics Paper Pack, also found here. There is still time to get a card in the Doodle Pantry challenge! Check out all the details here! Have a wonderful weekend! I'll be by to visit as many of you as I can - today holds a full day for us - we will be putting new office furniture together and painting walls in DH's new office! I hope that you ladies all had a nice Mother's Day, and that you gents spoiled your mom's rotten on Sunday! I found a few minutes today to craft! I was trying to find a way to use ALL the patterns in one color of Laurie's beautiful new paper pack at Doodle Pantry. Then I saw a beautiful card HERE of Kim Schofield's on SCS that I loved! I used her basic layout, and here's what I created. I think this color is simply gorgeous, and that it's even prettier against the stark white and black mats. There are 3 patterns of FIVE different colors in this pack for $2.00. TWO dollars!!! Wowzers! You can check out the paper here! I also used one of the sentiments from the Noah's Ark pack, which is also a new release. The darling butterfly is from The Craft's Meow, from the set "Friend of Mine", and can be found here. There is still lots of time to join in the challenge at the Doodle Pantry Blog, as well! You just need to use a Doodle Pantry Image! If you don't have any, you can check out the freebies! DD brought some beautiful hanging baskets and a laugh out loud card...on the front was a mixer dripping with chocolate batter. It said, "Good moms let their kids lick the beaters." The inside sentiment said "Great moms turn the mixer off first." Tee hee..... she thanked me for always turning the beaters off! DS sent an amazing vase of fresh flowers with a note that nearly made me cry! I have the best grown children in the world!!! Well, have a great week! Hopefully, I'll be back in a day or two with something that will make you smile! Food for Thought: If you fatten up all of your friends and family, you will look thinner!!! Just a note to let everyone know that something has happened to all the blogs I follow. When I go into my dashboard and click 'all blogs' it keeps telling me that I currently do not follow any blogs. I'll try it again in the morning before reporting to Blogger, but wanted you all to know that I'm not ignoring you! Hugs, and Happy Mother's Day to all you mom's out there! Welcome to another "New Release Day" for Doodle Pantry! 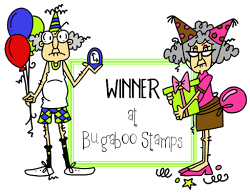 I'm having so much fun with Laurie's images, and the Doodle Pantry Creative Team is awesome! 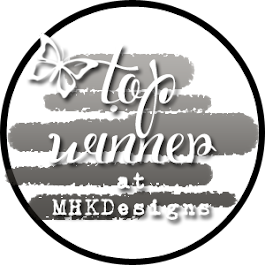 We welcome May Guest Designers, Amy Johnston and Karen Howard! So nice to have these ladies with us this month! So...I can't WAIT for you to see what visions of creativity that Laurie has for you today! There are several new sets, including some of those pre-colored images that you all love, AND a fabulous new template! WAIT....don't leave yet - you haven't seen my card! To see all of the new releases, go to the Doodle Pantry Store, and click on New Releases. 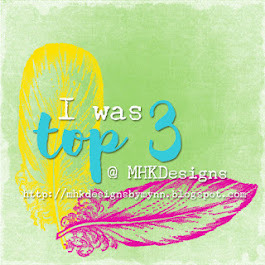 For OODLES of inspiration, check out the rest of the Creative Team's wonderful creations - they are listed on my sidebar! My card today features Laurie's white owl. I made a very quick and easy easel card, as once again, my time was rather limited. What a great image for a manly card! The ribbon and cardstock are navy, and match quite well in real life...of course, it was raining and very cloudy when I took the photo too! Here's what is on the bottom of the easel - I used some of the DP and border punched the small strip. I had a bit of leafy ribbon left over from something, and thought it would make a nice accent, as well. Now.....there are THREE ways to save in May! May 5th and 6th only - Get the fabulous new Ark template for 25% off - this is already reduced, so no code or coupon needed. May 5th and 6th only - You can get the May Product Bundle, which includes 5 of the new releases: Mud Piggy, Ducky Duck, Reel 'em In, Grad Hats, and Owl. This Bundle will be $8.00 for all 5 sets (a savings of 32%!). Be sure that you put the MAY BUNDLE in your cart in order to get the discount. items are already reduced - no coupon is needed. Today is the start of a new challenge at Doodle Pantry as well! You can find all the details at the Doodle Pantry Blog. Just for participating in this challenge, you will receive the new Ducky Duck digi set from Laurie - how cool is that? Hope to see YOUR beautiful creations up soon! Have a great Thursday! Be sure to head over to Doodle Pantry and check out the great new releases! Food for Thought: No one can ruin your day without your permission. Hope that your week is off to a good start. OF COURSE it is raining here, and raining, and raining! The totally scary thing is that I have not yet melted, and I thought I surely would! Today's post will be short and sweet, as I have more things to do than time to do them! I decided to 'ink up' one of Lori Boyd's digi's....Macie's Image. I've had this image for a long time, and have just now gotten to color her - how much fun! I'm going to enter this card over at Lori's challenge, which is simply to use one of Lori's images. Supplies: Echo Park DP's, Copic Markers, Flowers are from Hobby Lobby, and the loops at the top are May Arts Ribbon. The doodling on the side is done by hand using a Pitch Black atyou Spica Glitter Pen. A simple white paper doily from the Dollar Tree is behind the image. I'll be back soon with a new release from The Doodle Pantry! Food for thought: If you want a puppy, start by asking for a new car...lol!! !